I LOVE pumpkin flavored things. In fact, I am recently convinced that pumpkin beer is my gateway-drink to actual beer in the same way that iced coffee is the reason why I started drinking actual coffee so many years ago- there is something magical about that pumpkinny flavor! Bake it, brew it, bottle it, bedazzle it, or bathe in it, it’s all good. Basically: Anything pumpkin flavored is worth a try, in my opinion . . . this philosophy has never steered me wrong. In light of my love of pumpkinny goodness, I am going to share my top pumpkin recipes, in hopes that you are as delighted with them as I! #1: Pumpkin Bread to DIE for! 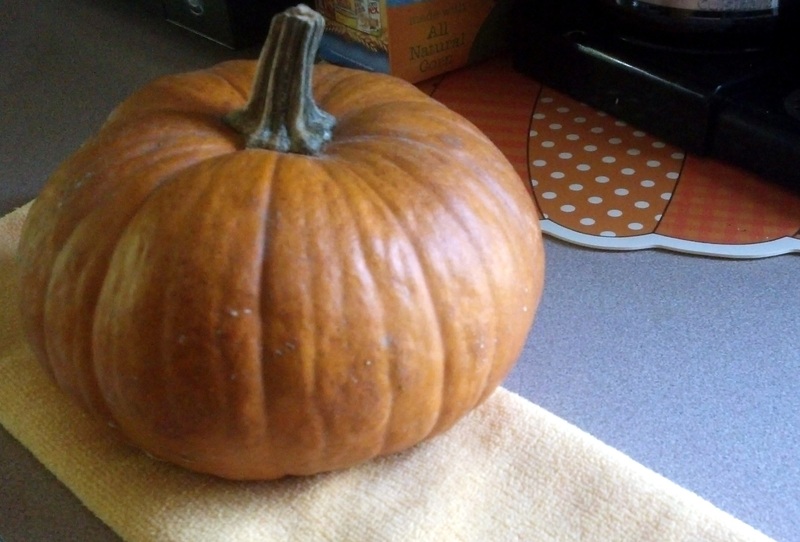 Pumpkin Puree: Cut pumpkin in half. Scoop out guts. Place cut-side down on foiled baking sheet. Bake at 350 degrees till soft about 45 minutes-1 hour. Cool, scoop out flesh and mash. Sift together flour, salt, sugar and soda. Mix pumpkin, oil, eggs, water, and spices. Combine with dry ingredients. Stir together gently. Add nuts. 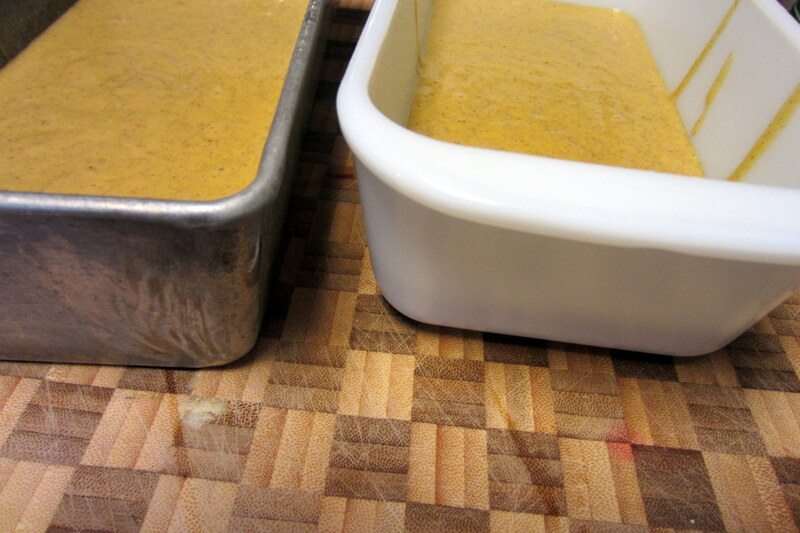 Pour in buttered loaf pan. Bake 50-60 minutes or until skewer comes out clean. De-pan and cool on rack. And it’s so freaking’ good. 1. Preheat a large soup pot. Drizzle with olive oil and add ground turkey. Add chopped onion, chopped peppers and pressed garlic. Add a little salt and pepper. Stir it all up and brown meat. 2. Add pumpkin purée, tomatoes, tomato paste, spices, chili beans and chipotle peppers. Season with salt and pepper to taste. Add stock & beer. 3. Bring chili to boil over medium heat and turn to a simmer for at least an hour. Mix the Pumpkin with the Whip and the instant pudding powder until it’s all even. Spoon the whippy goodness into a prepared graham cracker crust and refrigerate a few hours before serving for full flavor effects! I also think this whipped mixture would make an awesome layer in a pumpkin trifle – Think Lady-fingers, possibly drizzled with a little maple, some pumpkin bread layers perhaps, and regular whip, too. It would be layer upon layer of pumpkin magic! What’s your favorite Pumpkin flavored or Fall-tastic recipe??? Oh, Abs!! 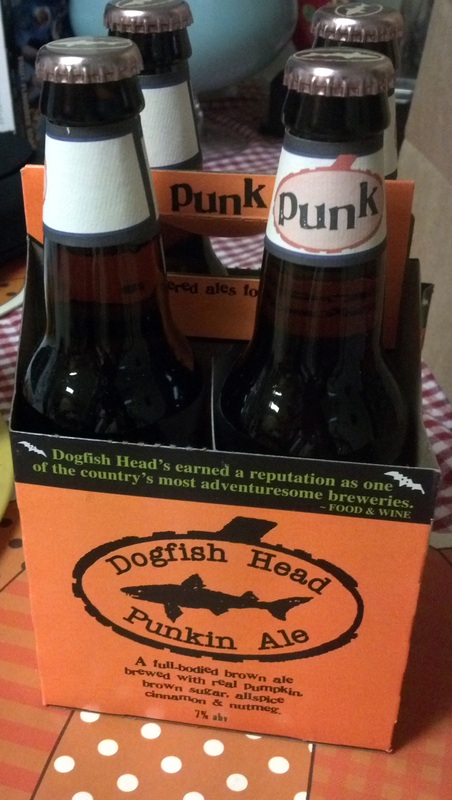 How I long to taste-test pumpkin beers with you!! I wish we could taste them together TOOOOOOOO, friend! I miss you!